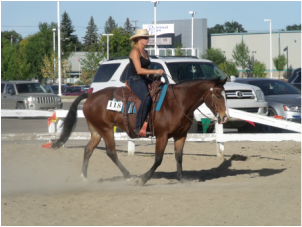 Riding lessons, clinics, horse training , theory and horse management courses. I'm born in Germany and moved 2009 to Canada. 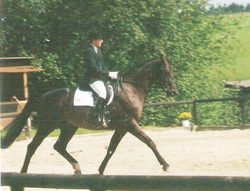 I coached, trained horses and competed in dressage and jumping. The Canadian equivalent to Trainer B is Competition Coach Specialist. Hanno Vreden and Wilfried Gehrmann who has established his ground work and double lunge line training expertise . I did my trainee by equestrian proficient Rolf Grebe. 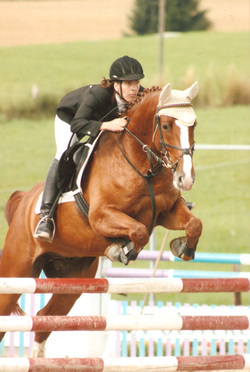 Rolf is a certified trainer with master degree in riding and breeding. Co-trainer of the german para dressage team.He is also certified Balance in Motion Trainer EM by Eckart Meyner's Ballimo Movement in Balance training to improve the rider's seat and harmony in movement with the horse. I have a lot of experience in teaching adults and children, showing horses in competitions. I also train horses in jumping ,dressage, western dressage. If you want a correct and healthy trained horse I could help you. If you are interested and want to become a good rider come and enjoy my lessons.